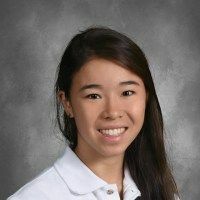 Archmere senior Tully Liu has been named a Coca Cola Scholars Foundation Semifinalist, chosen from among 200,000+ applications for her outstanding commitment to both the Archmere community and school. The Coca-Cola Scholars Program scholarship is an achievement-based scholarship awarded to graduating high school seniors. With the 30th class in 2018, the Foundation has provided over 6,000 Coca-Cola Scholars with more than $66 million in educational support. As a semifinalist, Tully moves on in the selection process and has been asked to submit her Semifinalist application, which will be reviewed by a Program Reading Committee in January. After this review, 250 Semifinalists will advance as Regional Finalists, with 150 becoming Coca-Cola Scholars. The Coca-Cola Scholars Foundation greatly values staying connected to Scholars even after college. The Foundation hosts frequent receptions throughout the country and also invites Scholars from all classes to return to Atlanta for a Leadership Summit every five years to engage in interactive sessions developed by alumni. The Foundation’s vision is to develop a powerful network of community leaders, touched by Coca-Cola, whose vision will help shape the world, leaving a lasting legacy for generations to come.